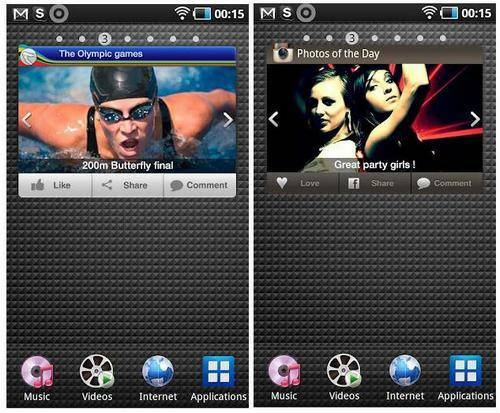 If you are on the Android platform and want to keep up with all the action in real time with the London 2012 Olympics, you can do so by grabbing the BlinxBox London 2012/Instagram app for Android, which is available from Google Play, and delivers the hottest videos and images from the Olympics Facebook page. BlinxBox London 2012/Instagram for Android devices is a widget that lets the user get their favourite content in real time right on their home screen so that they can like, share, and comment without launching any app. The BlinxBox London 2012/Instagram app features auto-updates of videos and images sent in real time, receive rich notifications even when your screen is off, whilst allowing the user to stay up to date with their newest photos along with popular photos on Instagram. With the BlinxBox London 2012/Instagram Android app Instagram images from people you follow are delivers as soon as they are posted, and you can like, comment and share with Facebook directly from the Box so your friends wont miss anything. BlinxBox London 2012/Instagram app is a beta version and uses the Instagram API, but is not endorsed by Instagram, and not affiliated with the London 2012 Olympic Games. For those Android faithful out there that would like to take advantage of what the BlinxBox London 2012/Instagram app offers, you can download the application to your chosen Android device for free by hitting up Google Play. Have any of our Android readers grabbed the BlinxBox London 2012/Instagram app yet, if so what do you think of the app?